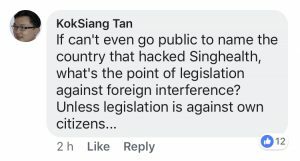 In Parliament on Tuesday, 12 February, Senior Minister of State for Law and Health Edwin Tong said that the government will consider updating current laws swiftly to prevent Singapore from becoming a victim of foreign interference and information campaigns. 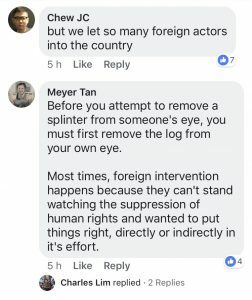 Mr Tong was responding on behalf of Prime Minister Lee Hsien Loong to Member of Parliament (MP) Cheng Li Hui, who had asked about the need to introduce new laws or strengthen existing laws regarding foreign interference and Singaporeans who work with foreign actors to influence Singapore’s elections and politics. With the prevalence of deliberate online falsifications, Singapore is not excluded when dealing with the threats of online falsehoods. This rings alarm bells for Singapore as such online falsehoods have the potential to break up her social cohesion and threaten national security. With the creation of “Select Committee” to deal with online falsehoods last year, Mr Tong added that the government will consider legislation to deal with deliberate online falsehoods and state-sponsored campaigns, where both are areas recommended by the Select Committee. Ms Cheng had also asked whether Singapore could learn from countries such as the United States, France and Australia, in their encounters with foreign interference in their elections and politics. Mr Tong responded by bringing up the case of New Zealand, where an opposition leader was alleged to have evaded political donation laws by disguising a donation with foreign links so that it did not have to be declared. Resultantly, debates on the need to review policies against foreign interference sparked in New Zealand. . 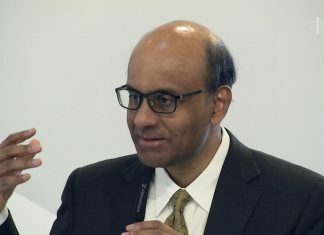 He added,”In this battlefield, Singapore, an open, democratic, digitally-connected and diverse country, is especially vulnerable. We are a young country with sensitive fault lines that foreign actors can exploit to foment distrust and ill-will among our various communities,” futher accentuating Singapore’s vulnerability to external instigation. This is especially so with the expellation of a former professor, Huang Jing, from the Lee Kuan Yew School of Public Policy,after he was caught attempting to use his position to influence Singapore’s foreign policy. However, netizens were unconvinced as they lashed unhappiness and anger at Mr Tong’s statements, with a netizen using the recent HIV registry leak against them. Others simply question the validity, or even attempted to discredit Mr Tong’s statements.